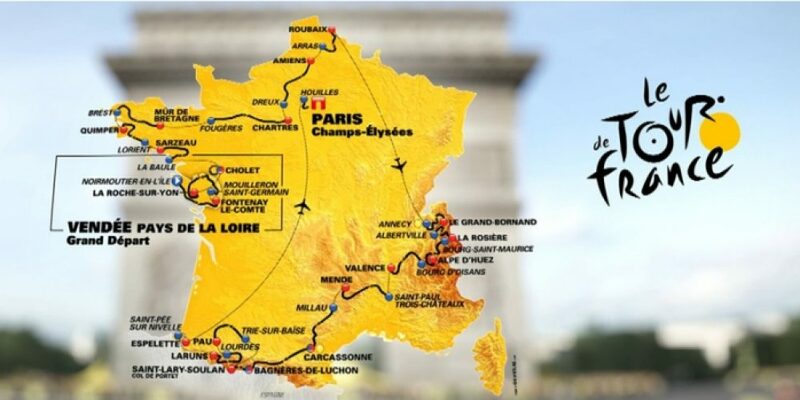 The Tour de France, with a solemn ceremony in perfect French style, was unveiled at the Paris Congress Palace. Presenting all the champions of contemporary cycling, the outgoing champion Chris Froome winner of the double Tour-Vuelta, Alberto Contador, Mark Canvendish, Nairo Quintana, Warren Barguil, Roman Bardet and Arnaud Demare. The Tour is always beautiful with an impressive choreography made of 10,000,000 viewers rated during the French holiday season in July (7 to 29). In the next edition there will be everything: the rocks of Roubaix that scare the big, the short stage 65km long, the Alpe d’Huez and the chronosquadre with a tough climb where it will be important not to blur the team. The Tour has unveiled its secrets, but the world of cycling is idle to plan the 2018 season. Runners and teams would like to know all the great rides in order to plan activities. The technical component still has a fundamental role and many, before make their own choices, are eager to know what the content will be. There are some who dream of a tough ride at the Giro, like Vincenzo Nibali, then go to Vuelta and prepare a great World Championship. The Giro however announced its preparations for November 29th. What prevents from shortening of time? If the organization has been very careful to close the millionaire deal that put the departure line in Israel, the rest of the route must still be firmly fixed. There are issues with organizations that have yet to confirm the commitment, coupled with technical issues, with local committees that have proposed unsuitable paths on inadequate roads. And while the Tour has already defined the 2019 route, Italy is running to fix the 2018 situation.